Multiple brands available in 6 - 60 dram sizes. Non-robotic vials. Brand name vials at generic prices. GSI brand vials were designed with independent pharmacies in mind by providing a great value. Multiple cap styles and color choices. Caps included in the case of vials. Robotic vials. Centor vials are certified by most robotic companies including Script Pro, RX Medi, and Parata. Centor provides a complete line of regulatory compliant prescription containers for medication dispensing. Robotic vials. Berry Global vials are certified by most robotic companies including Script Pro, RX Medic and Parata. Berry Global are one of the most popular vials being used in the U.S. Vials come in a comprehensive set of sizes and styles. 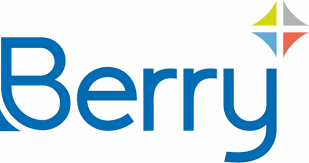 Berry Global & Centor products not eligible for quantity discounts.